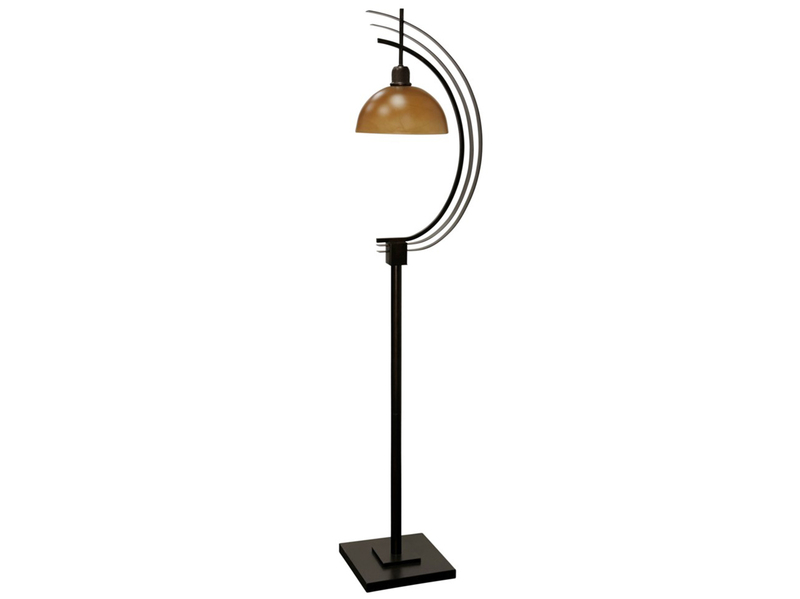 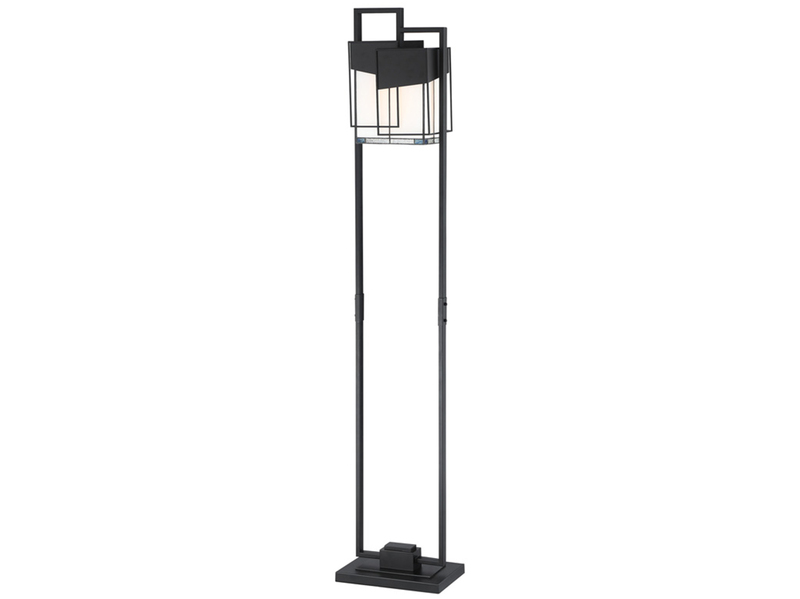 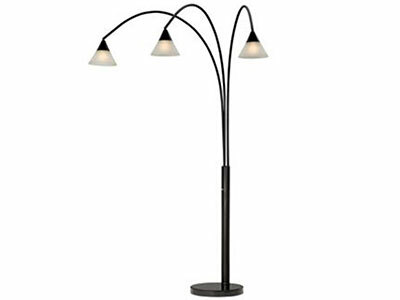 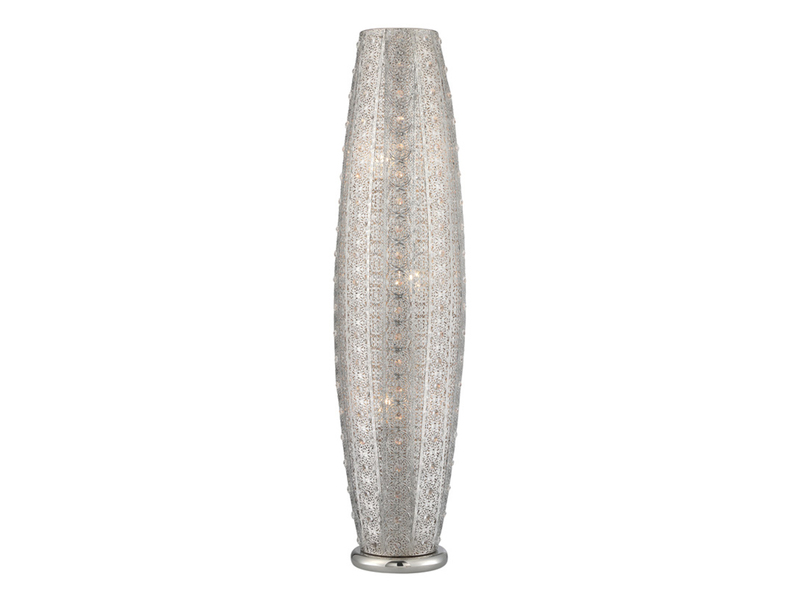 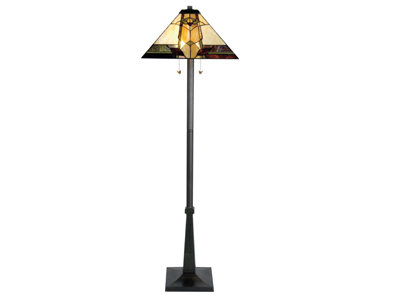 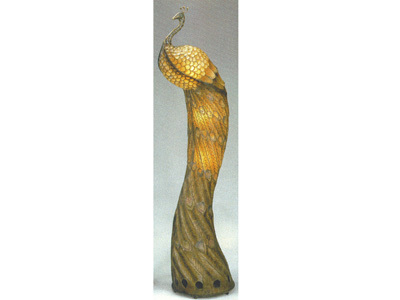 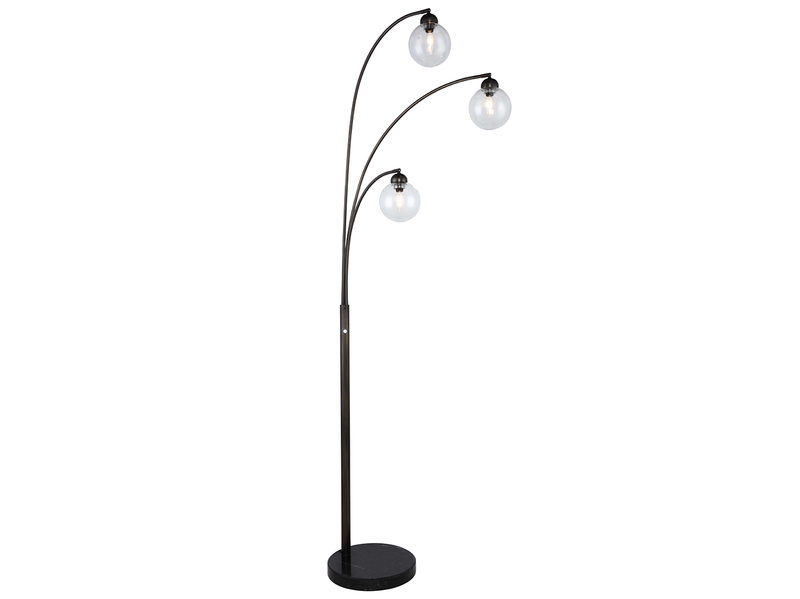 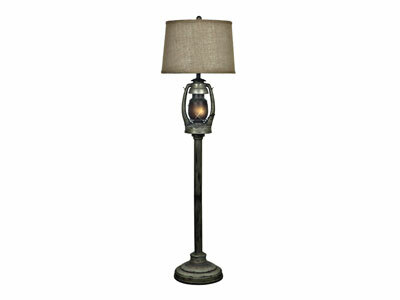 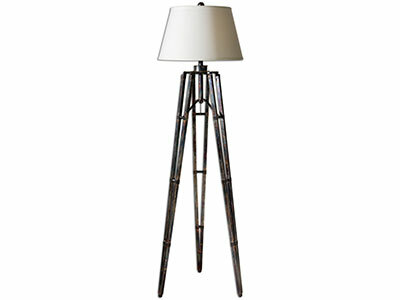 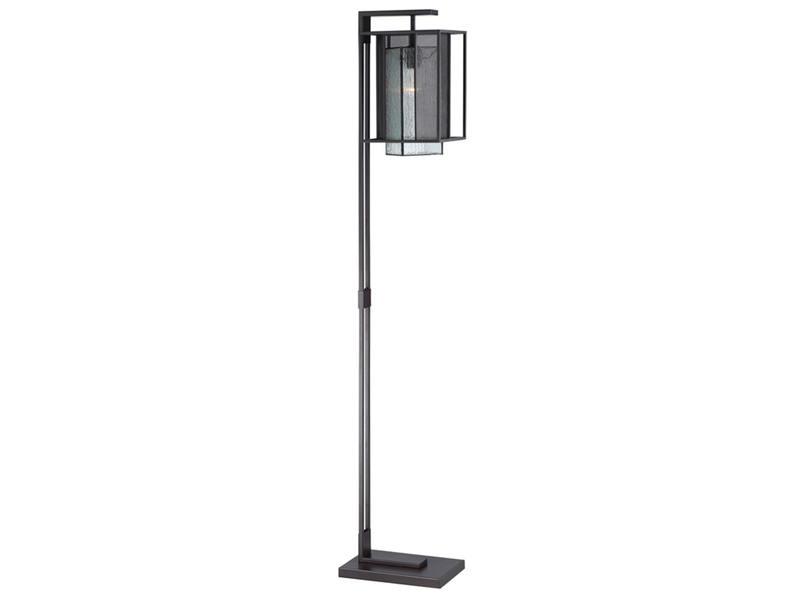 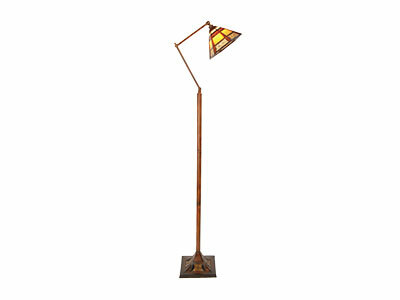 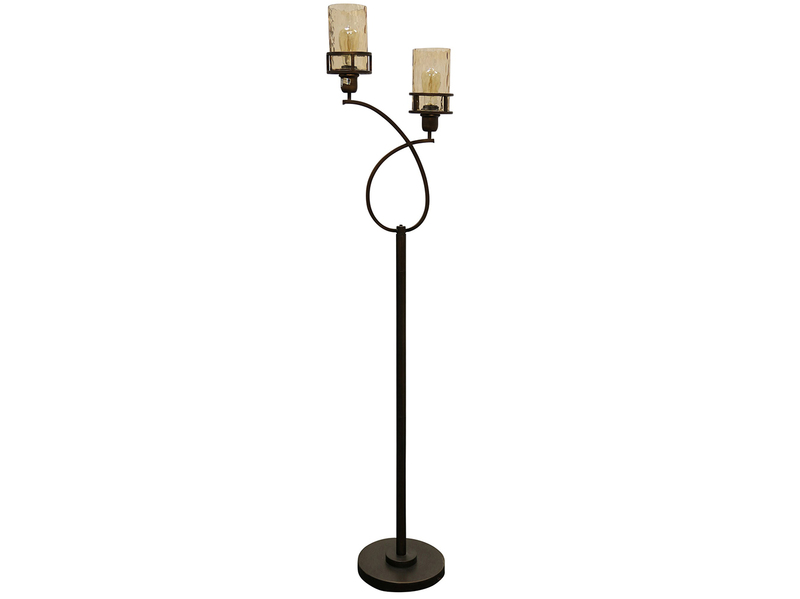 Go for a rustic look with this floor lamp that features an oil lamp night-light. 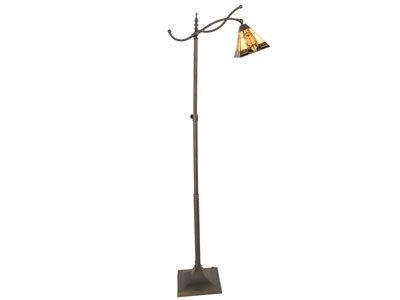 It is finished in rustic metal. 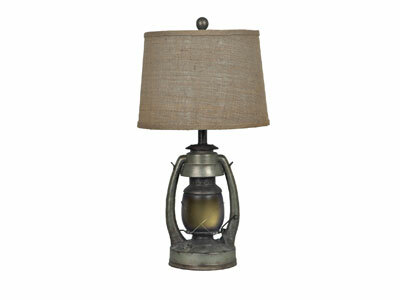 The hardback shade is finished with a natural burlap fabric.